Picked up this Silvertone from an Antique store for $20 not working. The receiver chassis number is 528.54746 and the Amplifier is 528.69240 There is a number stamped on the amp chassis 30-125-2 or it might be 30-125-2a. It was plugged in and probably in use at one time at the antique store. All it is, is a Silvertone Console Tuner, and amp Chassis inside a table top cabinet. It appears to be all original inside. It was in need of a recap. 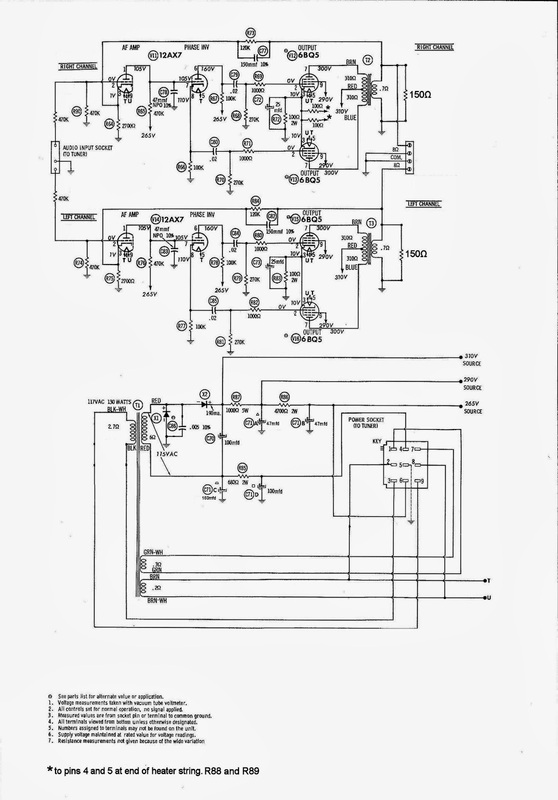 This is the Schematic of my amp as found. 1 - em84 with a NOS one from ebay. The resistor on the em84 eyetube. 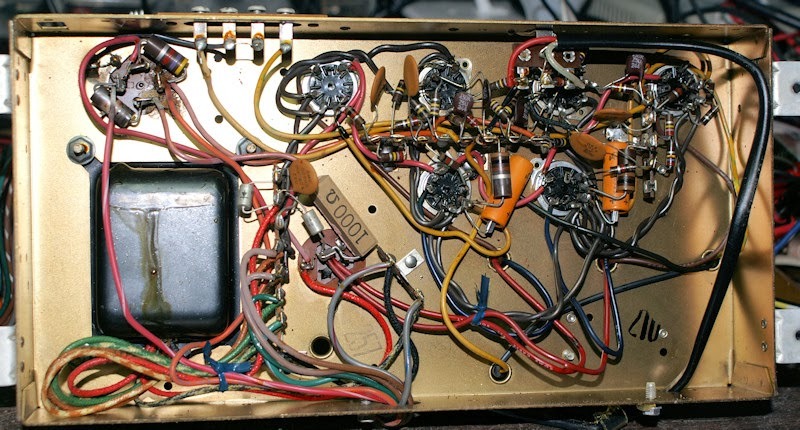 several resistors on the right channel of the amp (the left all measured good). There was 1 burned and split resistor in the tuner, and one singed resistor in the power supply. I blew up a 100uf e-cap in the voltage doubler and had to replace that with a much higher voltage rated one. Seems that the amp originally had a 200vdc cap in the voltage doubler circuit. Why mine blew I do not know. The replacement 450vdc cap works fine. It has a Phono and Tape in. I have a CD player or mp3 player on the Tape In. For $20+$45 in parts to fix, you can't get much better than that. It sounds really good through my Fisher XP-9C Speakers.